WWE still refers to our topic today as, "the most watched wrestling program in American TV history." February 5, 1988, was the first time pro-wrestling had been on network TV since 1955 and 33 million viewers tuned into NBC to see the biggest rematch in history: Hulk Hogan vs. Andre the Giant for the WWF World Championship. The largest audience in wrestling history was in for a treat: "How can there be two Dave Hebners?" Bruce breaks down arguably the best angle in WWF history and it was so good Meltzer even wrote, "Everything worked so well it was scary." We break down everything from that night and the weeks leading up to it. How did the WWF negotiate to get a slot during prime time, when was the decision made to switch the title, how did word leak out, how were tickets selling for WrestleMania IV relative to III, why did this show happen in Indianapolis, what was Ebersol's involvement since he wasn't with NBC at the time, who put together the graphics and backdrops, who produced the promos for the show, when and where were those shot, why didn't the main event close the show, what was different between Saturday Night's Main Event and the Main Event, whose idea was Peggy Sue, when was it decided that Honky wouldn't drop the IC title, who bought thousands of tickets to WrestleMania, the new World Title, who gets the credit for the evil twin idea, why there were empty seats in the arena, who the director was, who shot the Hulk Hogan training montage and why they used Jake Robert's theme, and much more about the biggest show in WWF history! It's an absolutely PERFECT Christmas edition as Bruce and Conrad look back at one of the greatest... if not most perfect wrestlers in the history of the WWF: Mr. Perfect. NOTE: Stay tuned to the end to hear the rare, original WWF theme for Mr. Perfect along with some other easter eggs! What really happened behind the scenes at WrestleMania VII? What was the backstory on the retirement match between "Macho Man" Randy Savage vs. the Ultimate Warrior? What was up with the LA Coliseum move? WWF's heel turn of Sgt. Slaughter. Oh and Donald Trump ringside?? In January 2000, Eddie Guerrero, Chris Benoit, Perry Saturn & Dean Malenko shocked the industry when they jumped from WCW to WWE, putting another nail in the coffin for WCW. Bruce and Conrad take you behind the controversial moment that would forever change WWE and WCW. What really happened when the U.S. government went after Vince McMahon and the WWF over the distribution of steroids in 1992? Find out! What really happened when the WWF put on a legitimate shoot fighting tournament during the height of the Monday Night War? Find out! What really happened when Bret Hart opted to leave the WWF for WCW when he was still the WWF Champ? Find out the real story behind the Montreal Screwjob. He is one of the most iconic wrestlers in the history of WWE. His intensity was unparalleled. His controversial personality was equally unmatched. Learn about the man and the myth from someone who witnessed his entire run in WWE. Find out what really happened with the Ultimate Warrior in WWE. What really happened when the WWF went all in on Lex Luger during the summer of 1993? What is the REAL story behind the Lex Express and Luger's attitude during the promotional push as he chased Yokozuna's WWF Championship? Find out! Whatcha gonna do when Bruce takes you back to the days of the Mega Powers in the WWF? Hulk Hogan and Macho Man teamed up to become one of the biggest attractions in WWF history… only for the explosion of the Mega Powers to create a massive box office event as Hulk chased Macho for the coveted WWF Championship. Learn all about what REALLY happened behind the scenes. Bruce Prichard takes us back to 1989 when "The American Dream" Dusty Rhodes joined the WWF and rocked the polka dots. 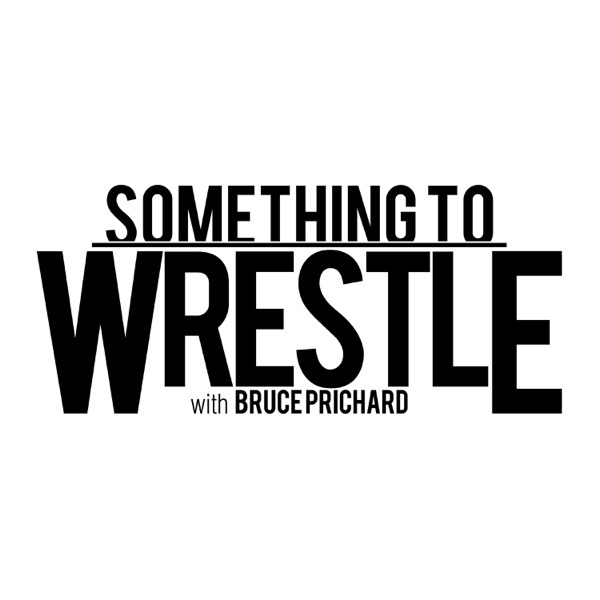 Plus, Bruce and Conrad Thompson talk WWE and more! Bruce Prichard is coming to the MLW Radio Network! Friday August 5th!